FAN FAVORITE! 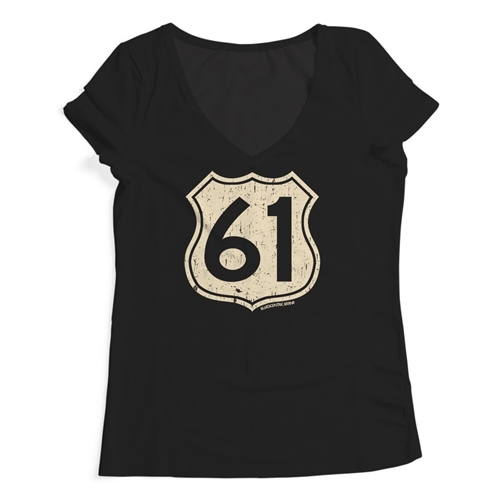 Take your musical adventure on down Highway 61 with this comfortable ladies' v-neck tee. 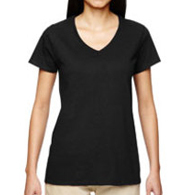 This comfortable ladies v-neck is 100% preshrunk cotton, side seamed, missy semi-contoured with a distressed design. Sizes run very true. If Heather Grey is an option, cotton is 90/10.